Keeping with the tradition of Saturday Club activities at Asian Business School, we aim to extend our classroom learning experience and give our PGDM students a holistic development encompassing knowledge, attitude, values and ability, so as to realise our vision of “Growth with Education”. Different clubs at ABS like Literary Club – Gnosis with Eco Club – Prakriti; Entrepreneurship Club – SEED with Sports Club – ATHLEEMA; and Cultural Club – Utsav with CSR Club; collaborated together for the purpose of making student leaders implement the knowledge of management and leadership and strengthen their confidence. The Different themes of this Saturday’s event were “Freedom from Corruption of Character”, “Freedom from Unemployment of Youth” and “Freedom from Pollution of Environment”. It was basically an awareness drive run by ABS students with a vision of FREE INDIA to mark the celebration of the upcoming 72nd Independence Day. The event from the beginning was full of enthusiasm, filled with a feeling of patriotism. It included musical drama, skits, poetry, declamation and sports start up plan competitions. It was a reflection of today’s society that how corruption, pollution and unemployment is affecting everyone’s life and how each one of us can help in making India free from these in real sense. Such kind of activities are practical value additions which enable our students to think and search for out of the box solutions. The theme and the purpose of the activity was well achieved as it imparted deep understanding about various social issues. 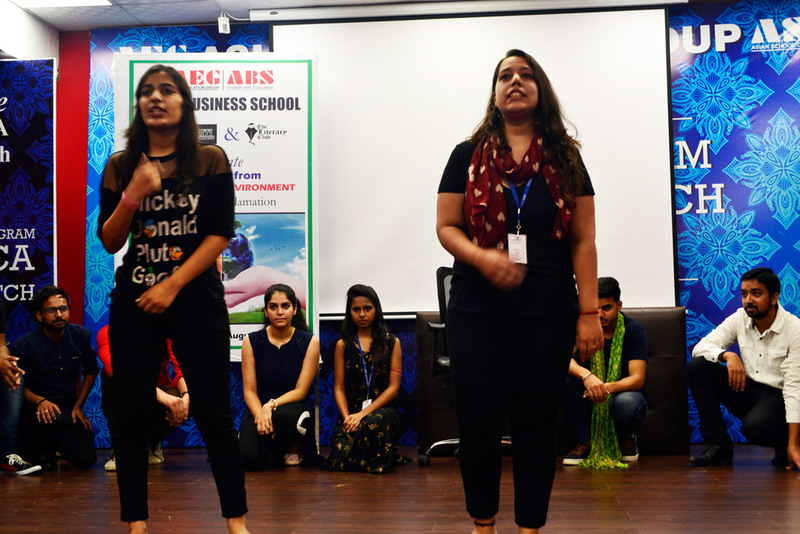 PGDM students participated with full enthusiasm to under the guidance of their respective faculty club coordinators.